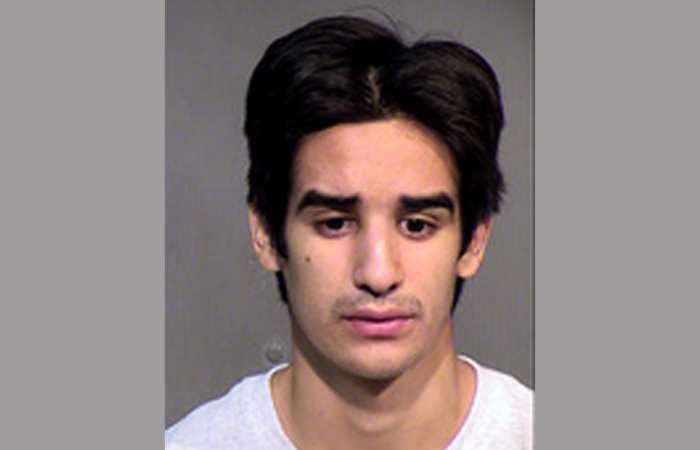 20-year-old Michael Anthony Hurtado, from Arizona, was high on bath salt while driving his Chevy pickup truck. Hurtado crashed his truck at the entrance to a parking garage. He then got out of his damaged truck and got into someone else’s U-Haul truck. Witness say Hurtado was completely unclothed and acted weird. He then made out with the steering wheel of the U-Haul truck. Police were called and Hurtado was arrested. A witness told Tempe Police officers that Hurtado crashed his pickup truck into the gate at a parking garage. He got out of his vehicle completely unclothed and then locked himself inside a U-Haul truck that was parked inside the garage. According to the report, when officers arrived at the scene, Hurtado was inside the U-Haul truck, kissing the steering wheel. He was rambling and acting irrationally. He was placed inside a police car, where he began kissing the cage inside the car. He was then taken to a hospital for treatment, and arrested upon release. When he was no longer under the effect of the bath salt, he admitted that he had taken bath salts prior to the incident. Hurtado was charged with criminal damage, criminal trespass, and driving under the influence. His bond was set at $1,800.